FROZEN merchandise is still so popular! 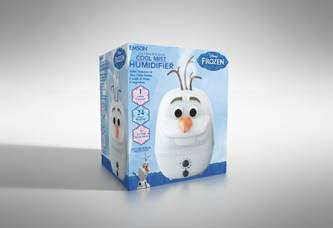 I know my kids love ANYTHING FROZEN and if your children are like mine, then you will LOVE these humidifiers which will not only add to your child's decor but keep them from drying out this winter! Check out these super cute humidifiers! 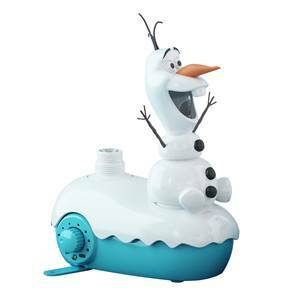 Disney's Frozen- Olaf 550ML Personal Ultrasonic Cool Mist Humidifier adds moisture to any room! It fights mold and mildew and features anti-microbial technology, on/off dial (min/max settings) and a Mist nozzle. Disney's Frozen- Olaf 1 Gallon Ultrasonic Cool Mist Humidifier adds moisture to any room but features everyone's favorite snowman! It also fights mold and mildew and features anti-microbial technology, on/off dial (min/max settings) and a Mist nozzle. 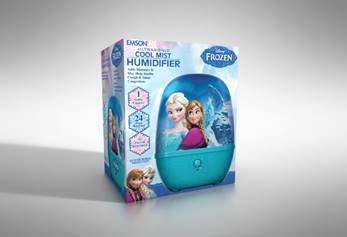 This Disney's Frozen- Elsa & Anna 1 Gallon Ultrasonic Cool Mist Humidifier has all the same features as the other ones mentioned above but features the two beautiful sisters, Elsa and Anna! It is the perfect addition to any little girl's room this winter!